The Mi Band 2 fitness tracker from Xiaomi, is an affordable fitness tracker that measures, heart rate, steps, and activity with a digital display. I have an original Mi Band (no digital display), which my teen used for a while but stopped using it as he had to constantly use his mobile phone to see any data. 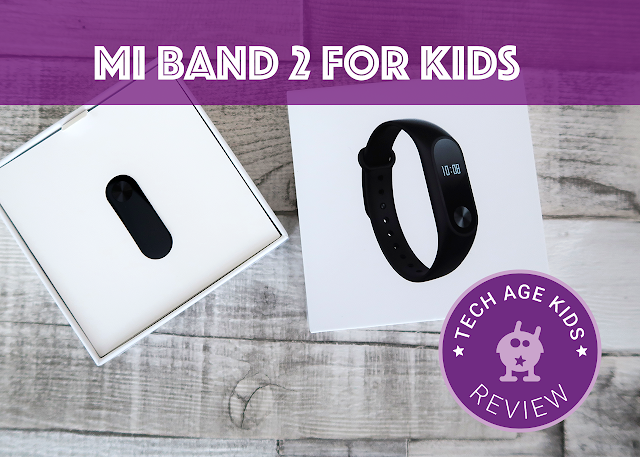 The Mi Band 2 is much improved from the first model and now has a digital display which made us take a closer look to see if it's a good option for kids. My 9 year old needed a watch and so my teen gave him his Mi Band 2 to use (he's not given it back since!) Although the Mi Band 2 is not specifically designed for use by children, I can't see why they shouldn't be able to use it. 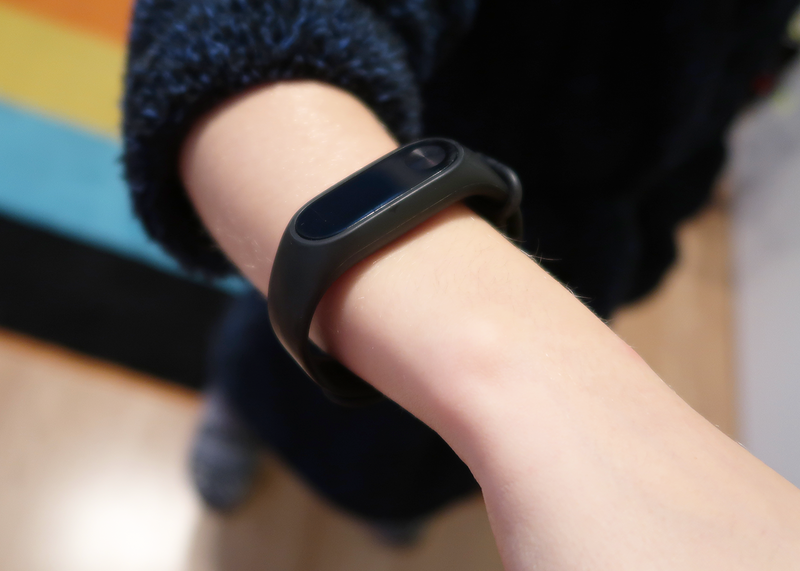 The Mi Band certainly is a much more comfortable price as far as fitness trackers go! In this post, we take a closer look at the Mi Band 2 and share how we use it in our family. You need to decide if that would be appropriate in your own situation. One thing that I really like about the Mi Band 2 is that it doesn't have GPS tracking. I don't particularly like the idea of my child's location being tracked. UPDATE 2018: Xiaomi have released Mi Band 3 in May 2018. It's a much improved device, but still at the lower end of the price range. The Mi Band is particularly attractive for children as it is waterproof and they can swim (upto 50m)/shower with it! It remains very similar to the Mi Band 2 in look and feel but has an improved display screen. The Mi Band 2 is significantly cheaper than other fitness trackers. It comes in a small box (perfect gift size) and includes the tracker (that looks like a large pill), a black silicone band and a charger. You need an accompanying app available on iOS and Andriod to sync the band and download data from it. My son has a very thin wrist and the band fits on it's smallest setting. The band is thin and small which making it a great 'smartwatch' option for kids. You can also set whether you are wearing it on the left or the right arm. I have been really impressed with the battery life of the Mi Band 2. It takes about 1 hour to charge fully and we only charge it once a month. My Fitbit needs charging once a week. The band as an indicator on the display showing how much battery life it has. You can opt to switch this off in the app, but my son finds it really useful to know when he needs to charge his watch. You need to remove the device from the silicone band to charge it. The device fits into the custom charging cable and plugs into a standard USB plug. We charge our devices in our charging station, so the cable lives there and doesn't get lost. You need a mobile phone for the Mi Band app. My 9-year-old doesn't have one yet. So I've downloaded the app on my Andriod phone. We sat together to set up the device and decide what he would like to show on the display. We only sync his band every now and again, as he's not currently too bothered about keeping track of the data. Syncing once a week is plenty, but you could get in the habit of doing it daily before bedtime. My son can see the time, date, number of steps, heart rate and battery life on his Mi Band. You scroll through the different settings, by tapping the screen on the band. Some features, like the activity tracker and heart rate monitor, can't be set up for a child user. You need to be over 18 to make full use of these features. Unlike my Fitbit Alta, the Mi Band 2, doesn't measure your heart rate constantly. 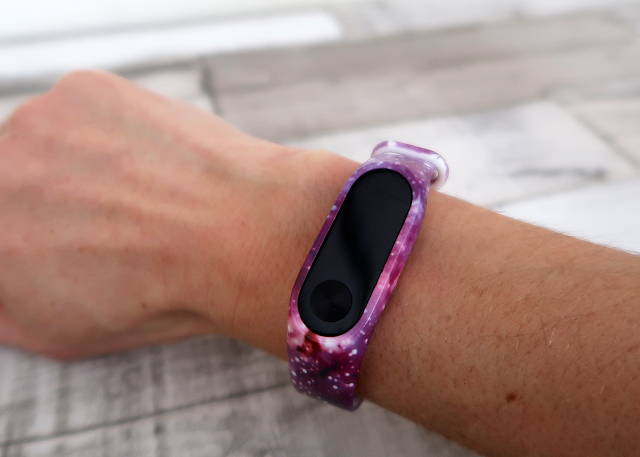 You need to tap the band to get the device to measure your heart rate. One big negative about the Mi Band not being for children is that if you have more than one child with a Mi Band you need a separate mobile phone to sync other bands. We got our 7-year old his own band too, which is now sync'ed to daddy's phone. I've worn my Fitbit Alta and the Mi Band 2 on the same arm for a day. Their data are not the same, but the rate of increase seems to be similar. Unless I use a third tracker, that is GPS linked, it is difficult to know which one is more accurate. The Mi Band 2 seems to be less generous when tracking steps. But that doesn't have to be a bad thing - just make kids work harder to achieve their steps goal for the day. You can play around with the number to set a realistic goal for your child. Again it's worth noting that when a child is wearing the band, the steps won't necessarily count up the same as when an adult is wearing it. For our purposes, it works great. My son is able to track his steps and activity relative to his own band. If you have more than one child in the family using a Mi Band they can compare their data with each other. However, you couldn't compare Mi Band data with Fitbit data accurately. One of the most useful functionalities of the Mi Band for us are the alarms. You can set one-off, and daily alarms. The alarms are set through the app, so it could be a pain if you want to do a lot of one-off alarms and your child doesn't have their own smartphone. The Mi Band vibrates when the alarm goes off and you tap the screen to cancel the alarm. We've set up a few alarms that helps my son organise his time. He likes to read at night, so he's got an alarm set for when it's time for lights-off. You can also have different alarms for weekdays and weekends. So you could set a wake-up alarm for school days. We don't do this, as my son wakes up early enough without needing an alarm. I tried out one of the bands and the device fitted nice and snug. It was just slightly stiff to get it in and out (which is necessary for charging). Although the Mi Band 2 is not specifically designed for children, I do think it's a great device for them to use. It's slim and light and fits a small wrist. The battery life last long and the band doesn't get in the way of physical activities. The biggest plus is the price. I'm always cautious to send my kids out with expensive tech in case they lose or break it. It's a distraction free-device, that provides the time and date, and as well as the ability to track steps and set alarms. 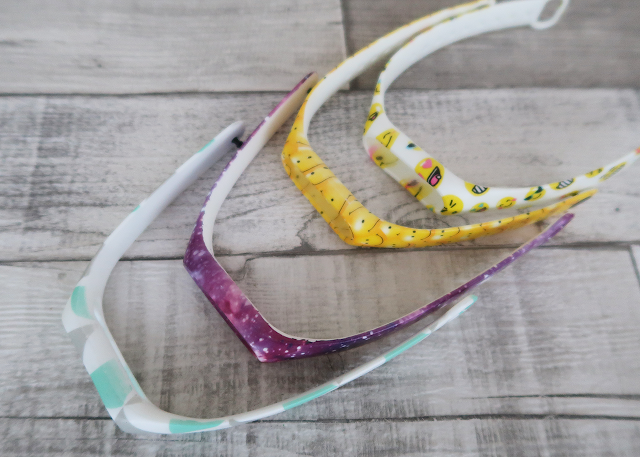 Kids would love the fact that they can personalise their band and the additional silicone bands are really affordable and come with great designs and colours.